Angling Firsts! Freshwater to Saltwater on the fly. We set our minds to it and got it done! An IGFA Trout Super Grand Slam at Trinchera Ranch and my first Redfish on a fly on the Texas Coast were my goals. 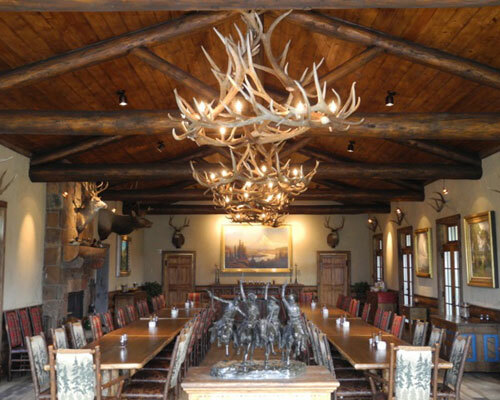 We once again enjoyed a wonderful stay and great fishing on 185,000 acres in southern Colorado – The Trinchera Ranch. The sprawling ranch offers 4 species of trout – wild trout – on gorgeous improved streams in the heart of the Sangre de Christo mountain range. I wanted to catch all four in one day and I knew if anyone could help me it was our friend and guide Doc of Doc Thompson’s High Country Anglers. We have fished with Doc for 4 years now and he knows this ranch well. 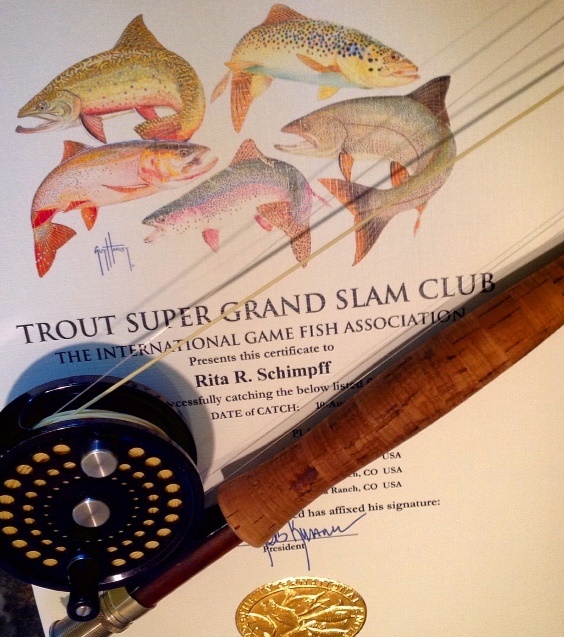 Doc Thompson guided Rita Schimpff to her IGFA Trout Super Grand Slam at Trinchera Ranch. Doc also knows I only want to fish with only dry flies. So the 4 trout I caught were: a Rainbow, Brown, Brook and Rio Grande Cutthroat. 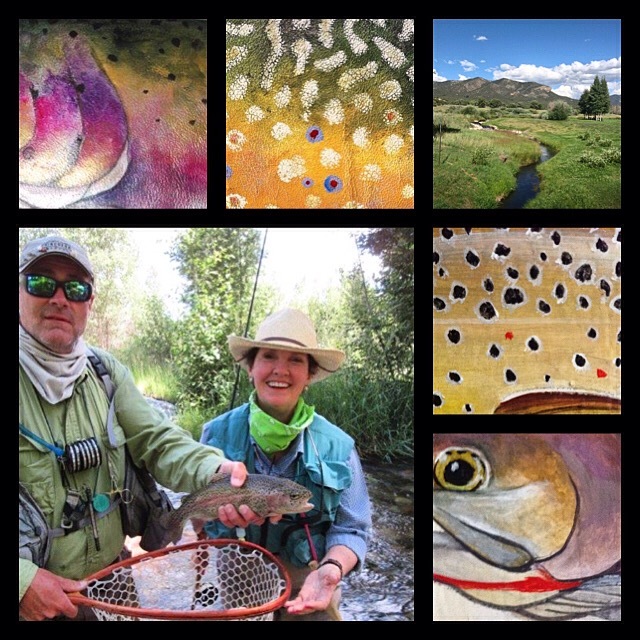 I made the above vignette combining my photos with my paintings of the trout. Special thanks to my husband, Skip, who gave up valuable stream time so I could attain my super grand slam goal! 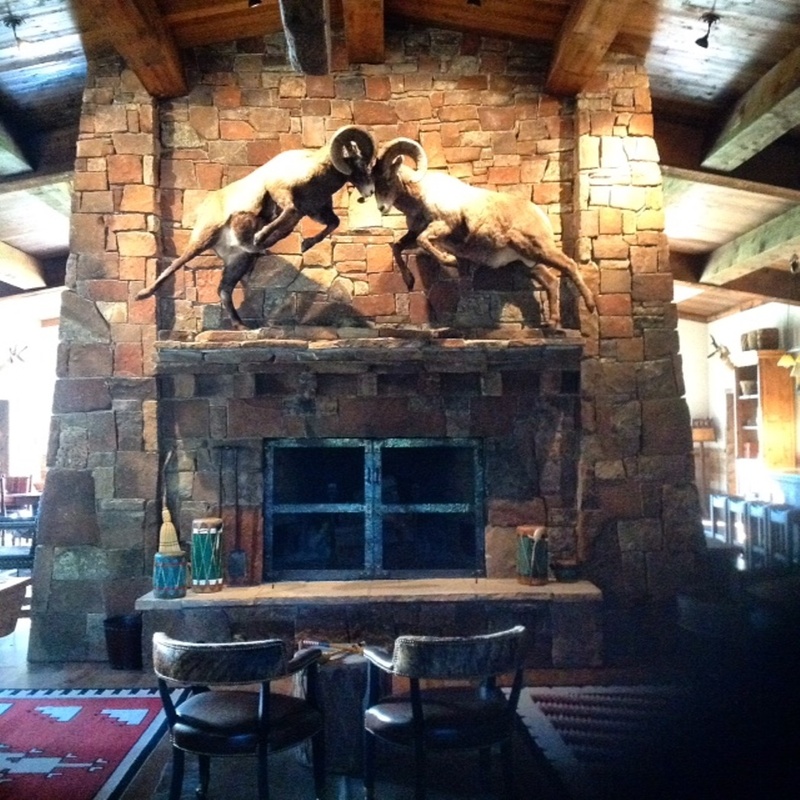 Meanwhile back at the ranch…..the Lodge at Trinchera Ranch……. magnificent artwork surrounds your soul at Trinchera Ranch and superb food & service feed your soul. The art! Remington, Bierstadt, Rungius & N.C. Wyeth originals for me to enjoy! I was in hog heaven. Both of these handsome rams were taken within an hour of each other in huge snow! 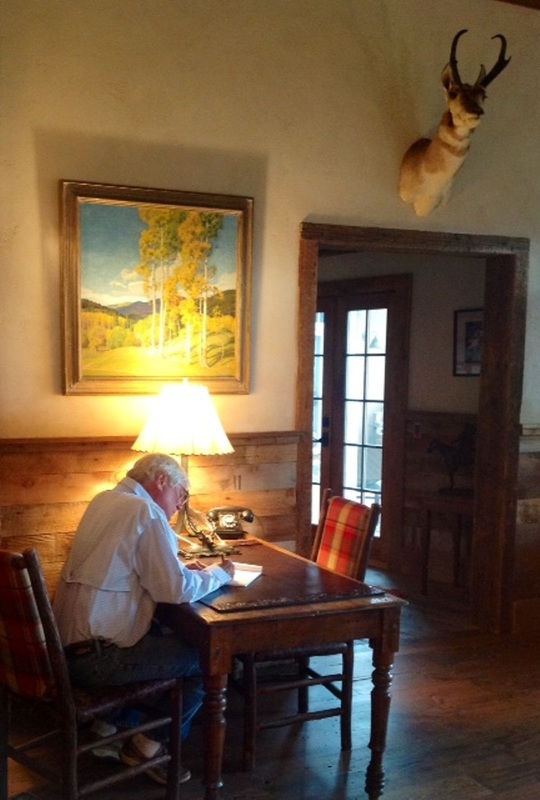 Quiet spaces are designed for guests to relax, read or journal. 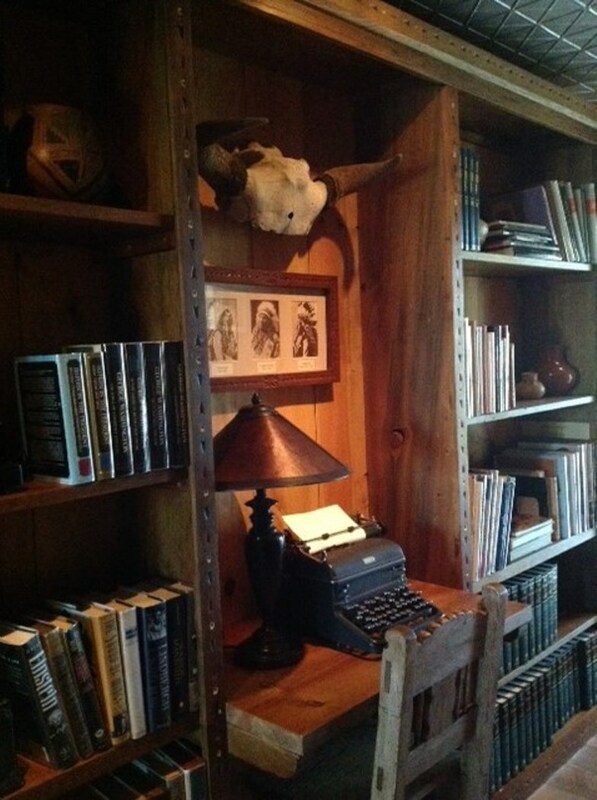 Every hallway, room and corner are thoughtfully designed and appointed with vintage sporting collectibles. In this hallway, one expects Hemingway to return shortly and put the final keystroke to paper. Now to my saltwater first! By the dawns early light, Capt. Ben Paschal leading me to my first redfish on a fly. A redfish on the fly has eluded me for many years. 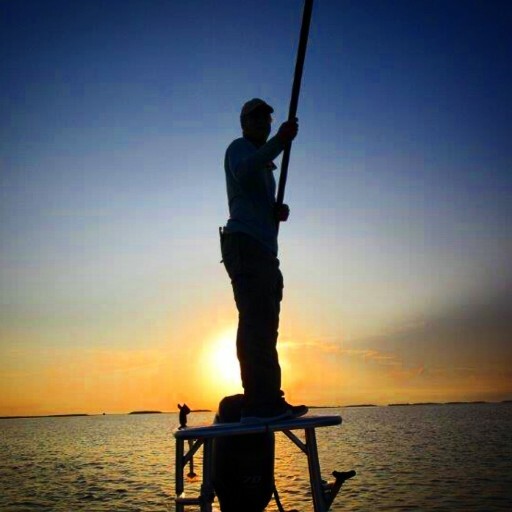 Skip and I journeyed to Arroyo City on the Texas Gulf coast and the pristine saltwater flats of the Lower Laguna Madre. 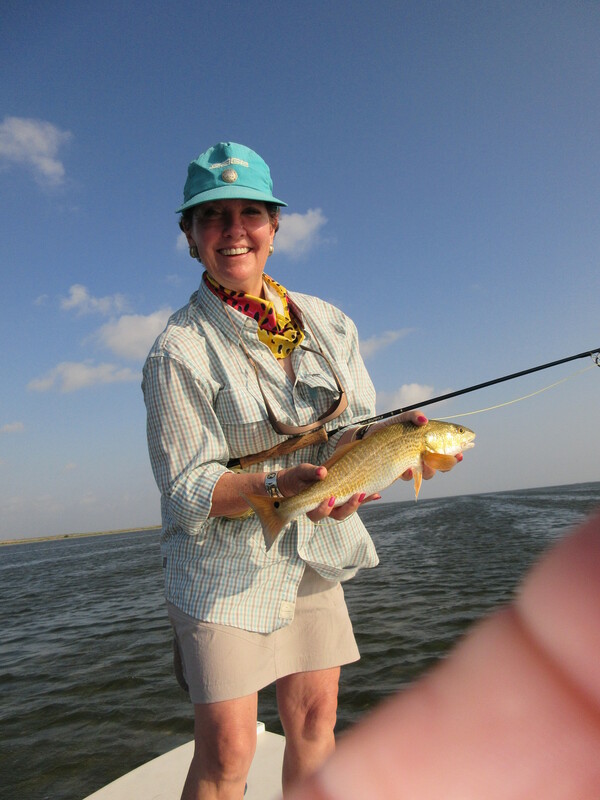 Rita Schimpff with her first redfish on the fly! We enlisted the services of Capt. Ben Paschal owner of Lower Lagana Outfitters for help with this seemingly impossible task. 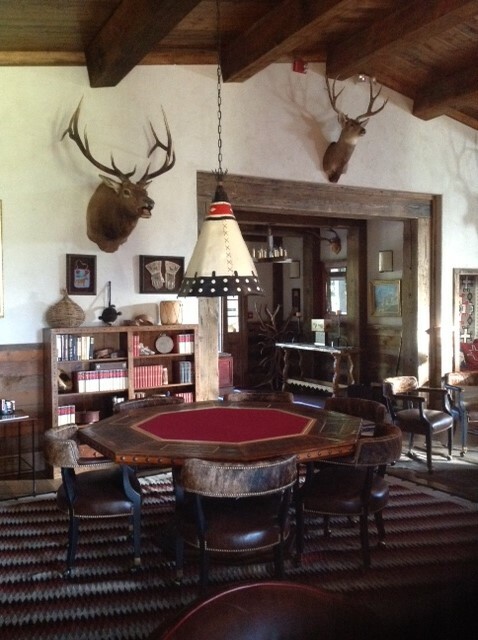 We returned two months later and a heated competition ensued whereby I beat my husband 8-7! Skip has thrown down the gauntlet and vowed it won’t happen again! Ben fishes in Louisiana from November thru March – now I want a super sized Red – stay tuned.